Despite the announcement at Munich of a cessation of hostilities in Syria, to be implemented in the next week or so, all the major fighting forces in Syria have announced a determination to soldier on. 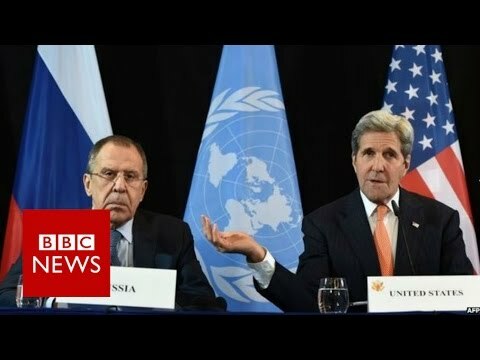 According to the London pan-Arab daily al-Hayat [Life] , Russian foreign minister Sergei Lavrov not only said that the cease-fire did not apply to Daesh (ISIS, ISIL) or al-Qaeda (the Nusra Front or Support Front) but he also said it did not apply to the the Freemen of Syria, the Army of Islam and “other terrorists.” He accused Turkey of being behind all the Syrian “terrorist groups.” But he said there could be a cessation of hostilities with other rebel groups. Most of the fighting in Syria is between the Syrian Arab Army on the one side and groups like Daesh, al-Qaeda, the Freemen of Syria, and the Army of Islam on the other. So if they aren’t included by Russia, it means the fighting will just go on. In particular, al-Hayah says that the Russians are determined to take all of Aleppo as quickly as possible and that hasn’t changed. Then Bashar al-Assad, the strongman at the head of the Syrian regime, came out and said that he intended to retake all of Syria, even though that task might take a long time. These statements don’t sound like a cessation of hostilities to me. There is more. The rebel groups in east Aleppo, which the regime has not yet retaken, have just announced that they got new deliveries of Grad missiles to use against the Syrian Arab Army (presumably from the CIA and Saudi Arabia through Turkey). Most of the rebel groups in east Aleppo are relatively moderate and shouldn’t be defined even by the Russians as “terrorists,” but one has a sinking feeling that they will be. And that they will be starved and that non-combatants in that area will be bombed indiscriminately. If there was any chance the Russians would treat them as moderates rather than terrorists, one suspects that the new weaponry, with a range of 12 miles and aimed directly at the Syrian army, has ended it. Meanwhile, the YPG or leftwing Syrian Kurdish militia based in the western canton of Afrin has seen an opening to move east, with the defeat of al-Qaeda and other forces just north of Aleppo. They took a small military base just south of Azaz, a key town on the supply road down from Turkey to east Aleppo. Now they are besieging Azaz itself. If the Kurds take that city, they clearly hope to fight on east until they reach Kobane, thus uniting all three major Kurdish cantons to form their hoped-for Rojava region. Syrian Kurds maintain that this Rojava would be a state in a future federal Syria, and that they aren’t seeking secession or an independent Syrian-Kurdish state. Nevertheless, Turkey is extremely upset by the YPG advances and is determined that Afrin won’t be joined to Kobane (which would have the effect of cutting off the ability of Turkey to supply its Salafi clients among the rebels in northern Syria). It would also however, cut off Daesh from its supply routes up into Turkey, which NATO should consider a positive even if Ankara does not. So in all likelihood, Turkey will do what it can to stop the YPG Kurdish advance. It is to be hoped that in as much of Syria as possible there will be a cessation of hostilities and that food can be delivered to civilians who are being starved by the various sides. But the big war fronts seem likely to continue to be hot.